Acupuncture originated in East Asia several thousand years ago, and is the most commonly used alternative medicine in the world. The World Health Organization has stated that Acupuncture can treat more than 300 health conditions. Acupuncture offers drug-free and surgery-free treatments. Acupuncture uses the insertion of needles at specific meridian points of the body to redirect or re balance “qi” (the energy flow of the body). In Western terminology, Acupuncture is the stimulation of specific points to alter various biochemical and physiological conditions. HOW DOES IT TREAT PAIN? There are 309 acupuncture points situated on or very close to nerves, and 286 acupuncture points are on or very close to major blood vessels, which are surrounded by small nerve bundles. Inserting needles close to the area of pain increases blood circulation. It also stimulates nerve endings to produce neuropeptides, such as the calcitonin gene related peptide (CGRP), nerve growth factor (NGF), vasointestinal active peptide (VIP), and the neuropeptide (Y). 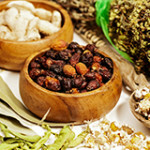 Their function is to promote vasodilatation and the formation of new blood vessels, to facilitate the healing process. HOW DOES IT TREAT INTERNAL DISORDERS? Comprehensive medical history is examined, and detailed questions regarding the patient’s health and emotional state are asked; physical examinations regarding one’s condition. B. Pulse diagnoses (Pulse is read at the wrist on the radial artery. There are 28 different types of pulses. Each one is specific to the condition of the patient. Example: the most common American pulse is the wiry pulse. This pulse indicates stress, injury, pain, and liver/gall bladder pathology. Analyze all of the above information about the patient’s condition and carefully choose acupuncture points. – Our body contains 12 regular meridians and 2 extra meridians. 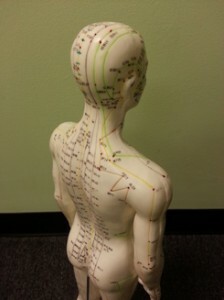 – 12 regular meridians and 2 extra meridians contain 361 acupuncture points. Based on the patient’s condition, Dr. Han selects between 10 to 15 points to stimulate the meridian system and to re balance the qi, yin, yang, and blood.